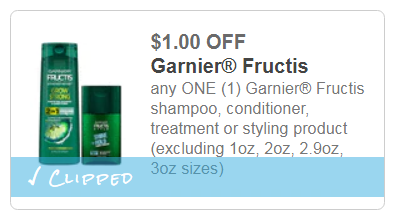 CVS – Garnier Fructis Shampoo or Conditioner (12-12.5 oz) Only $1.04 ea – Print Your Coupons NOW! Hurry over to CVS and stock up on Garnier Fructis Shampoo or Conditioner (12-12.5 oz). Now through 3/23/19, CVS is offering you $4 Extra Bucks when you buy 2 select Garnier hair care items. Use 2 printable coupons & 10% beauty club savings and pay only $1.04 each. That’s a 77% savings. Make sure to print your coupons now before the print limit is met and they disappear. 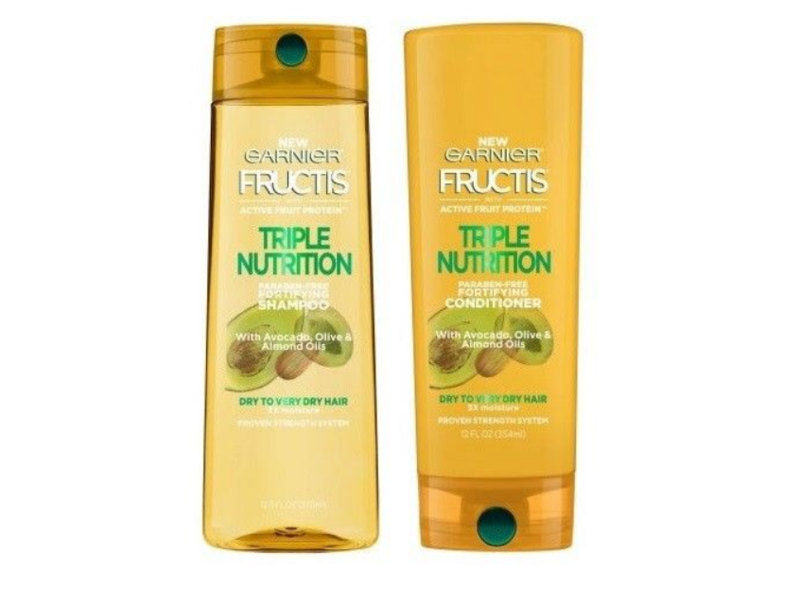 *Use (2) $1.00 OFF any ONE (1) Garnier Fructis shampoo, conditioner, treatment or styling product (excluding 1oz, 2oz, 2.9oz, 3oz size Printable Coupon. *Pay $6.08 at the register. *Receive back $4.00 Extra Bucks. *Final total after coupons, discounts and rewards is only $2.08 for both. Just $1.04 each.